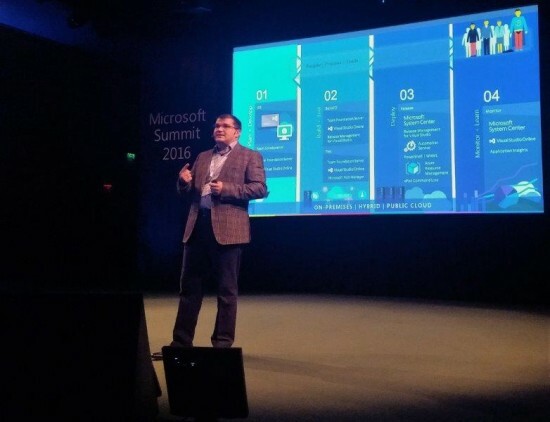 Microsoft Summit 2016 held in Bucharest, Romania, on November 8th, was an event of 1000 attendees interested in technology and coherent digital strategies that set a solid ground for the achievement of business goals. The event this year focused on enabling both business and IT management to sharpen business vision and find out how business acceleration can be supported by digital transformation. Local and international speakers gathered for a one-day session delivering extensive talks on hot topics of digital security, the society and how it is being shaped by technology, and how the fast moving world of today is, in fact, at its slowest pace and bigger things will follow. Quipu was invited to present a success story of transformational IT for financial servicesand a business model created specifically to support flexibility and fast reaction to market changes for clients that need to properly respond and adapt to customer demands. 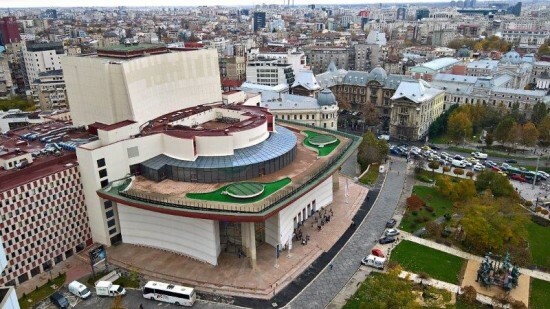 Quipu’s COO, Andrei Georgescu, talked about how technology is disrupting even the most conservative of all sectors, and how, in consequence, to survive in an increasingly competitive environment, banks have started turning more and more to performant IT systems. 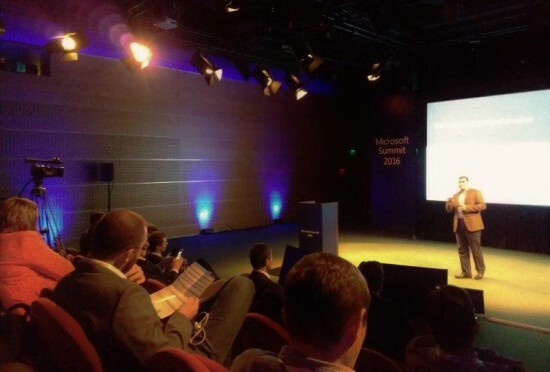 If, in the past years, optimization and efficiency were the buzz words, this year’s Microsoft Summit brought on the first line digital transformation and disruptive technologies as the game changers. “When IT itself gets disrupted by technologies, such as cloud, that turn conventional wisdom in application building and delivery completely upside-down, traditional IT departments take on the challenge of transforming into real value service providers” A.G.
With a common approach that there are almost no limits to what technology can do, the summit talks focused more on sharing knowledge and experiences, as well as finding solutions and encouraging collaboration for faster development. If you want to stay updated with our developments, follow us on social media and subscribe to Quipu Newsletter!